Our healthcare system is obsessed with delivering medical services, performing procedures and prescribing medications. It really needs to become obsessed with producing health. That is—or should be—the goal of healthcare. Yet, as a nation, the U.S., is not nearly as healthy as it should be or could be. We need a new approach—not only in healthcare but also in medical education. The University of California at Irvine is taking a big step in the right direction. Recently, UC-Irvine launched the Susan and Henry Samueli College of Health Sciences, the first university-based health sciences system to incorporate integrative health research, teaching and patient care across all its schools and programs in nursing, pharmacy, medicine and public health. This step is part of a widespread movement at academic health centers to add complementary and integrative medicine. Over 60 such centers are now part of the Academic Consortium for Integrative Medicine and Health that includes Stanford, Harvard, Yale, Duke, the Mayo Clinic, the Cleveland Clinic and other universities in California such as UCLA, the University of California at San Francisco and the University of California at San Diego. Why is this important? As a family doctor who has spent almost 40 years seeing patients, I was shocked to learn that many treatments that I was taught—and truly believed produced healing—didn't deliver much value when they were exposed to rigorous scientific scrutiny. In fact, medical care accounts for only 15% to 20% of our health. Most of our health is about what we do in our everyday lives—where we live, what we eat, how active we are, how much stress we're managing and so on. To produce health, we must focus on the whole person and the whole community in which each person lives. Integrative health recognizes that patients' health is shaped by their lives outside the doctor's office. This is especially important for people who have conditions like high blood pressure, cardiovascular disease, diabetes, obesity and chronic pain. These patients account for 80% of hospital admissions, 90% of all prescriptions filled, and more than 75% of physician visits. Currently, these patients receive "disease management" to control their symptoms. Integrative health goes beyond that to consider the patient's lifestyle and environment, making patients true partners in achieving and maintaining good health. Research shows that when patients are involved in managing their own care, they are both healthier and happier, resulting in better outcomes and lower costs. In addition, integrative health expands what we mean by "healthcare" by making use of all appropriate evidence-based preventive, therapeutic and lifestyle approaches; diverse healthcare professionals; and all disciplines that contribute to health and wellness. It is the merger of conventional, complementary and self-care. In an integrative model, healthcare teams interact with patients via group visits, technology and sometimes even in their own homes, to help manage symptoms, support behavior change and solve everyday problems that can affect their health. Patients want this: One-third already use some form of complementary approach, such as acupuncture, dietary supplements or massage therapy. This new model requires not only interdisciplinary practice but interdisciplinary education. All members of the health team need to be trained to think beyond conventional practice. They need to learn how to work with team members outside their own disciplines, recognizing that each member has a unique role to play in caring for patients. And they need to understand how their patients live their everyday lives so that they can help offer health—not just more healthcare–with the patient at the center of care. More university health systems and medical colleges should embrace integrative health. Physicians can find ways to tweak their practices now by thinking about the whole patient and adding proven approaches, be they conventional, lifestyle or complementary. Doctors should remember that patients are people first. Ultimately, they want health and well-being, not just more medical care. 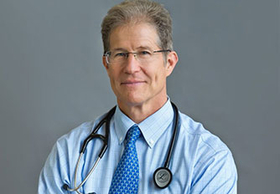 Dr. Wayne Jonas is a practicing primary-care physician in Fort Belvoir, Va., executive director of Samueli Integrative Health Programs, and former director of the Office of Alternative Medicine at the National Institutes of Health.